Sacramento, California. July 17, 2014 – Aerojet Rocketdyne has successfully completed a hot-fire test on its flight-representative 1 Newton (1N) thruster. 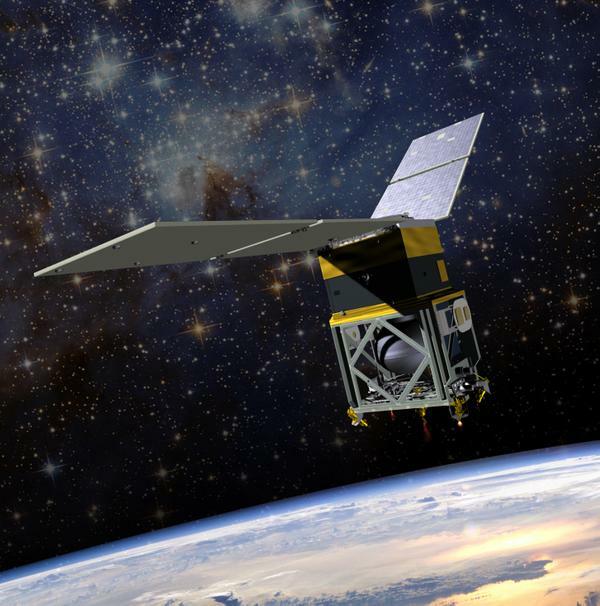 The test is a key milestone leading to on-orbit testing of the Green Propellant Infusion Mission (GPIM). Aerojet Rocketdyne is part of an industry and government team led by Ball Aerospace & Technologies Corp. to develop and fly the GPIM mission. GPIM will demonstrate a “green” propellant known as AF-M315E to replace the highly toxic hydrazine and complex bi-propellant systems in use today. Aerojet Rocketdyne will provide a full-propulsion system for the GPIM mission, including four 1N thrusters and one 22 Newton (22N) thruster. During the GPIM mission, the 22N thruster and four 1N thrusters will fire simultaneously to initiate orbit inclination and altitude changes on the satellite. The 1N thruster tested was a flight-representative unit that demonstrated a full and wide range of operating conditions. The AF-M315E green propellant, developed by the U.S. Air Force Research Laboratory at Edwards Air Force Base in California, significantly reduces toxicity over hydrazine monopropellant and bipropellant systems. It also simplifies operating and handling of the thrusters and spacecraft, while providing a safer environment for those working on the hardware. In addition, AF-M315E offers greater efficiency and performance. Ball and Aerojet recently completed a study to develop a common upper stage service for NASA. The new common upper stage could be integrated on a number of launch vehicles, including Antares, Atlas V and future NASA-procured launch vehicles such as the Delta IV Heavy. The upper stage would allow launch vehicles to deliver spacecraft and payloads to destinations in space that are not possible with existing launch vehicles alone. It would also be the first space vehicle to integrate the new green, non-toxic propellant being developed for the Green Propellant Infusion Mission (GPIM). Other participants in the GPIM mission are NASA Glenn Research Center, NASA Goddard Space Flight Center, NASA Kennedy Space Center and the U.S. Air Force Research Laboratory at Edwards Air Force Base, with additional mission support from the U.S. Air Force Space and Missile Systems Center at Kirkland Air Force Base. Aerojet Rocketdyne is slated to test a flight-representative 22N thruster later this year.